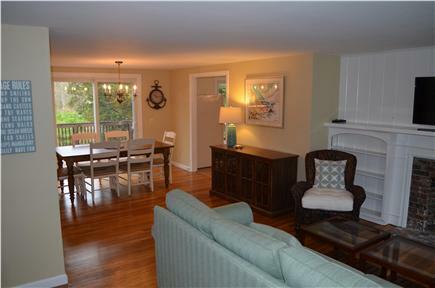 Beautiful Cape house near Bayview and Mayflower beaches. Comfortable living room with sectional couch and flat screen TV. View of the open living/dining area. 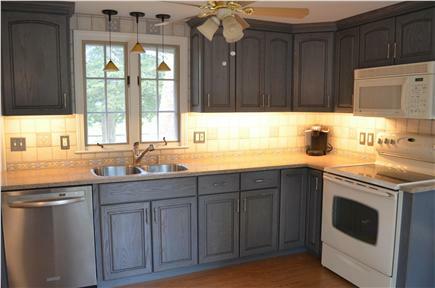 Updated kitchen with full amenities. Breakfast bar in the kitchen leading out to the deck. 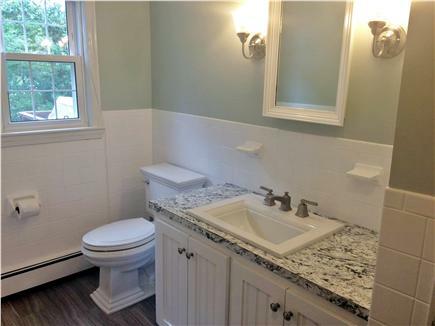 First floor renovated full bathroom with tub and shower. First floor master bedroom with queen bed. 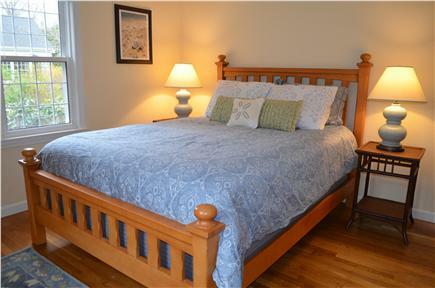 First floor bedroom with twin bed and full bed. Second floor bunk room with 2 sets of twin bunks. Second floor playroom with flat screen TV. 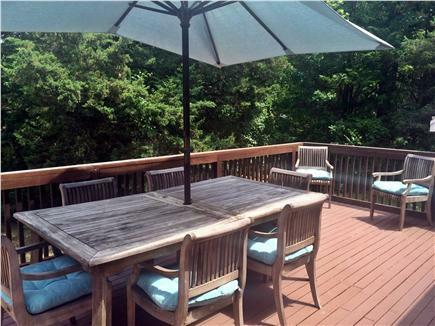 Large deck with teak furniture. 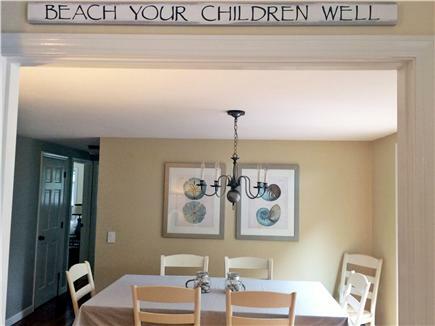 Enjoy this updated Cape retreat close to Bay Beaches! 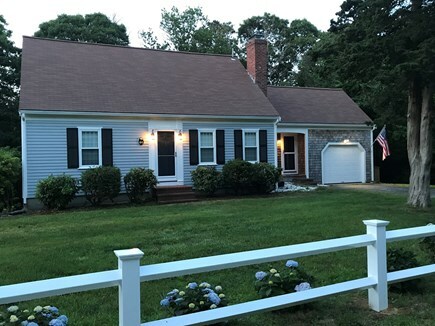 The house is located on a quiet side street, but less than a mile to Bayview (7/10 mi) and Mayflower beaches (8/10 mi), and all this northside neighborhood has to offer ... dining at Chapin's or Gina's, ice cream at Cape Cod Creamery, shopping at Dennis Public Market and so close to Dennis Village. 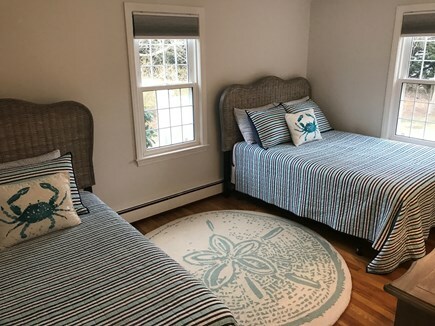 Both bathrooms have been updated, all rooms freshly painted, and decorated with new furniture and bedding ... clean, bright and new! 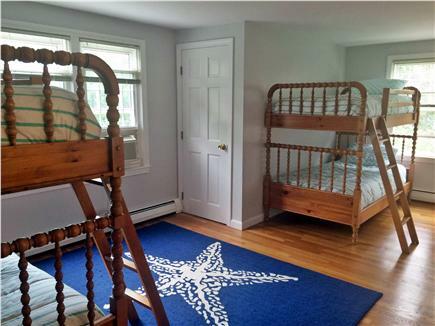 This home features two queen bedrooms, a bunk room for the kids and multiple sleeping options on both floors. There is a full bathroom each each level, plus a new outdoor shower. The open living and dining areas offer plenty of space ... double sliders open from both the kitchen and dining area to the private deck. 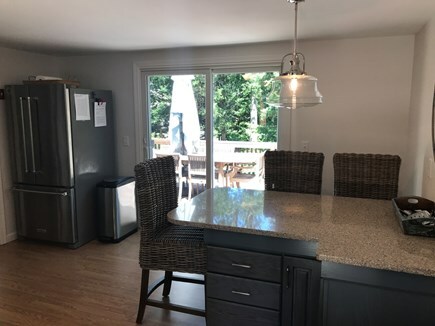 The updated kitchen with breakfast bar has everything you will need to enjoy your vacation. New outdoor shower enclosure, beach chairs provided. Additional pricing info: $150 cleaning fee/$400 refundable security deposit, State and local taxes of 12.45% will apply. We had a wonderful week at this fabulous house. The house was clean, had everything you need, is on a quaint side street close enough to walk to the beach with an amazing porch and all the amenities you'd want for a perfect summer vacation. The owners were wonderful and very accommodating. 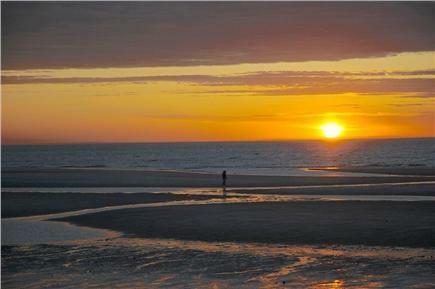 Will definitely stay again! Thank you for sharing your wonderful house! We were extremely pleased with our week at this home. Very clean and comfortable. The owners were thoughtful in making sure all necessities were provided. 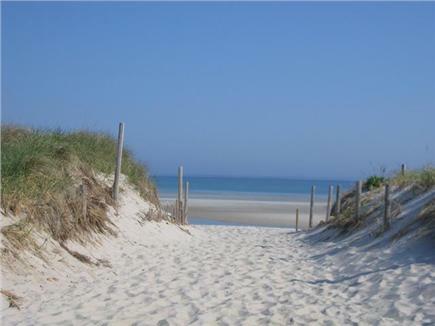 It was wonderful to be able to walk to the beaches (about a 15-20 minute walk) since beach parking fills up quite early most days. We would just drop off all chairs, coolers, etc., and one person could easily make the walk. We will definitely consider renting again.